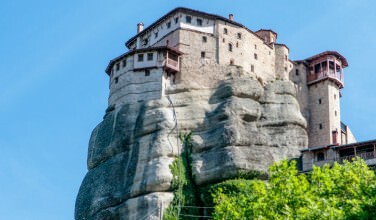 The history of Greece is incredibly turbulent and over the course of its history, the Ancient Greeks experienced periods of independence as well as periods of occupation. 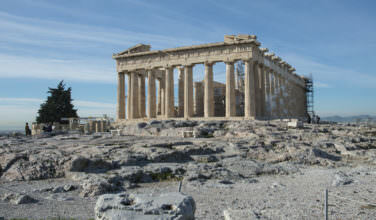 In Ancient Greece, the area we know of as modern-day Greece was broken up into multiple city-states. The Battle of Corinth was a key conflict in the Achaean War. It was fought in 146 B.C., between the Roman Republic and their former allies, the cities of the Achaean League. By the second century B.C., the Achaean League had expanded to include cities like Corinth and Sparta. At the start of the century, the League was allied with the Romans. In 150 B.C., Diaeus had been elected as Achaean Strategos. He had been complicit in the corruption of the previous Strategos. To prevent his corruption from being punished, he encouraged the League to defy the Roman Senate. Over the next few years, there were a number of diplomatic incidents between the Senate and the leaders of the League. These incidents led to hostility between Sparta and fellow members of the League. In 146, the Strategos Critolaus collected levies, ostensibly for war with Sparta. However, he proceeded to declare war on Rome instead. The Senate dispatched the consul Lucius Mummius Achaicus to deal with the matter. However, Q. Caecilius Metellus, who was already in Greece and had attempted to arbitrate the dispute, pursued Critolaus and led a successful attack on his army. According to ancient sources, Critolaus either drowned or committed suicide. After Critolaus’s death, power reverted to Diaeus. Polybius writes that Diaeus ordered a mass levy of men and ordered them to come to Corinth. This set the stage for the battle. The Roman forces were led by Mummius and the Achaean forces were under the command of Diaeus. The Romans had 23,000 infantry and 3,500 cavalry. They outnumbered the Achaeans, who only had 14,000 infantry and 600 cavalry. While the Achaeans were able to execute a night raid, this was their only success. On the day of the battle, the Achaean cavalry dispersed rather than face the superior Roman force. The infantry held their position until a Roman force broke their line. The soldiers were forced to retreat within the city walls. 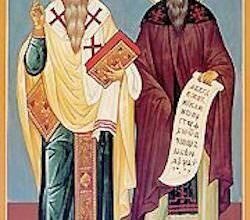 Diaeus fled, so there was no organized defense. Within three days, Mummius had taken the city. Corinth was completely destroyed as a result of the battle. The men were killed and the women and children sold into slavery. As Polybuis said, “The incidents of the capture of Corinth were melancholy. The soldiers cared nothing for the works of art and the consecrated statues.” The area was largely uninhabited for nearly 100 years. Julius Caesar established a colony there shortly before his death. 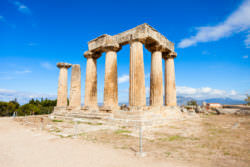 The destruction of Corinth happened in the same year as the destruction of Carthage. These victories allowed the Roman Republic to establish hegemonies in both North Africa and Greece. This consolidation of power only further confirmed Rome’s status as the dominant city of the Mediterranean. As you can see, the Battle of Corinth was a Roman victory. Greece lost its independence after its defeat, which means that the tide of Greece changed after that. 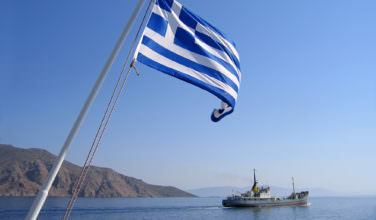 Do You Know About the Greek Flag?